For many people, the kitchen is the heart of their home. It is the gathering place where families come together to prepare food, eat meals together, do homework, visit with friends, talk and much more. Due to this centrality and importance of the room/area, many people want their kitchen to be as enjoyable, functional and efficient as possible. When taking on a home improvement project such as remodeling the kitchen or bathrooms, they are often one of the primary features (if not the main one) taken into consideration. While there are many different materials available for kitchen counters, the one that is constantly in highest demand is granite. The stone itself can cost anywhere from as low as $30 to over $100 per square foot. When you receive a quote, it’s extremely important to ask what it includes to make sure you’re comparing apples with apples, not oranges. Note: Be wary of companies who are offering to install slabs for less than $35-$40 per square foot. You typically get what you pay for and this price may not include any “extras” such as removing the existing counter, sealing, backsplashes, cutouts or edging. The cost of granite tile ranges from $5 to $20 per square foot (material only) or $150 to $600 for 30 square feet of counter space. DIY kits that include the tiles and backsplashes are available for around $100 to $200 for each section (eg. 24 inch wide corner piece). Using several kits, expect to pay between $500 and $1400 for a 30 sq. ft. counter. Note that these kits do not provide the mortar or tools needed to complete the job. To factor these in, add anywhere from $100 to $400 depending on what you already have on hand and are able to borrow. According to Granite Countertops Cost Guide readers, pre-fab costs anywhere from $25 to $80 per sq. foot (material only). Based on this, the average-sized kitchen counter will be $750 to $2700 if you DIY. The sections should come already polished, sealed and sporting a standard shaped outer edge. They typically come attached to matching backsplashes as well. 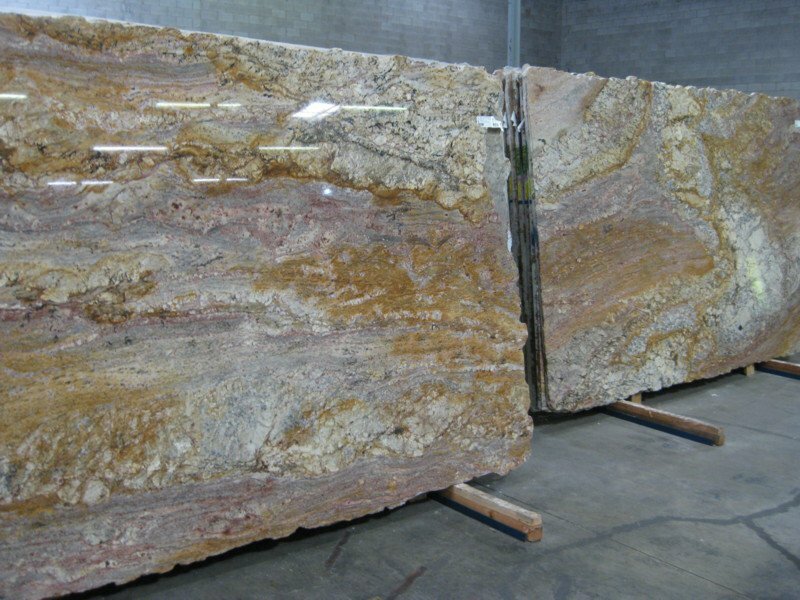 Slabs run about $60 to $150 per square foot installed and depends upon the quality and veining of the stone as well as the other factors discussed below. A 30 sq. ft. custom-cut slab should cost around $1900 to $3000 installed. This price includes the cost of the slab itself, materials and supplies as well as the labor required, from pre-installation measurements, preparations and adjustments, leveling, installation, edging, polishing, sealing and finally cleanup and inspection. The level of customization and fabrication complexity you choose will have large impact on the final bill. Thickness (typically 1-1/4 inches – opt for 3/4 inch thick to save money). Number of cutouts for sinks, outlets, etc. If you’re looking for an alternative, look into quartz countertops. They are typically slightly more expensive, but are equally beautiful (depending on who you ask) and completely maintenance free. 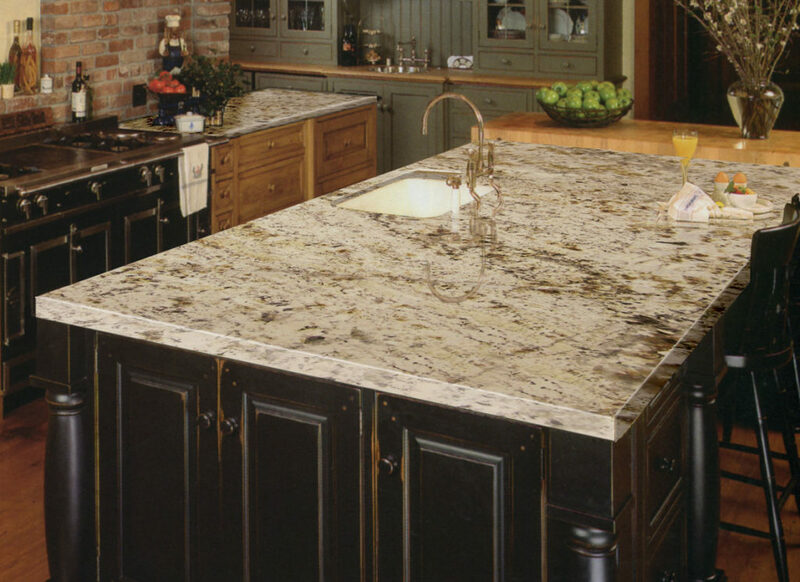 Granite is very durable. There is almost nothing that can be done in the kitchen that will harm the surface of a granite slab. You can set hot pots and pans on it, spill wine on it and even use it as a cutting board without damaging it (as long as it is properly sealed). It resists almost all stains, scratches, chemicals and heat. It also is completely sanitary (doesn’t hold bacteria) and easy to clean. If maintained annually, it can keep its function and shine for a lifetime. Its style is timeless and attracts everyone’s eyes. There are hundreds of different patterns, veins, swirls and colors found in natural granite. Each one has a one-of-a-kind combination of these aspects, so no two counters are alike. This enables you to find one that fits perfectly with the decor and design of your kitchen in addition to being a unique and personal expression of your style and taste. Another benefit is that using it for kitchen counters is not just a trend. It has always been a popular and sought-after kitchen feature and will continue to be for a long time. The cost of using it for your countertops is not only well worth it in terms of durability, beauty and overall functionality, but it also serves as an investment in your home. It is so highly sought-after and preferred that getting it installed adds to the resale value to your home. Many home buyers are actually willing to pay more for a house if it comes with counters made of granite. However, it can be scratched by very sharp/hard materials and exposure to hot grease can damage the surface. Because granite is mined in large, natural chunks, and because it is not treated by manufacturing, granite slabs are imperfect. They are stunning to the eye, but some people find it hard to find a slab that has enough consistency to fit in their homes. For others, however, this is granite’s strongest asset. The imperfections make it unique. Unless you are using granite for a small, square countertop, you will need several different pieces to complete your project. Where these pieces join, the seams, are impossible to hide. A professional installer can usually match the seam color to the granite, as well as make the cuts in the most unobtrusive manner, but the seams will still be quite noticeable if you’re looking for them. Granite is unusually strong, but it has a tendency to chip if it suffers a severe blow from a dropped pan. If you own granite for long enough, and use it regularly (in the kitchen), you will probably suffer a few very small (dime sized) chips. But it’s not uncommon for granite countertops to last for 50 years without a scratch. It all depends on how well they are maintained. Best practices for maintaining granite countertops require you to seal them every one to three years, depending on use. The sealant keeps the countertop from collecting liquid and staining. Granite is not naturally stain-resistant. It is extremely porous and only a strong seal will keep it from staining under heavy use. There are three common types: tiled, modular and slab. The tiles are placed edge to edge and secured with epoxy. The primary advantage of this type is affordability. It is also the most do-it-yourself friendly and many homeowners choose this option and do the work themselves to save a significant amount of money. While tiles still can provide a high quality stone look, the main drawback is that they are more difficult to clean because they create many seams on the surface that can collect dirt and grime. The mid-range option which comes in pre-cut “mini-slabs” that come in several standard sizes (12 inches wide on average) and are available in kitchen-ready sizes and shapes. It is more expensive than tiles but cheaper than slab on a per square foot basis. Although they are considerably more affordable than slabs, size limitations cause a number of undesirable seams. The modular form is also relatively easy to handle and transport, making do-it-yourself installation possible by any determined/motivated individual. The most expensive (and elegant) option, it is a solid piece of granite that is fabricated and customized off site and must be installed by a professional due to its size, weight and how hard it is to install. They are custom cut to the appropriate shape and width and can be quite large, ranging from 7-9 feet wide and 4-5.5 feet deep. 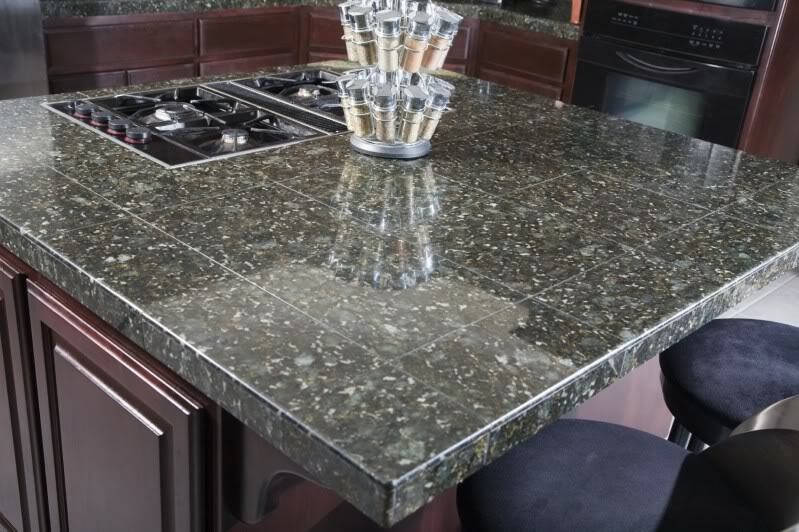 Due to their size, counters made of slab granite usually consist of a single, uniform piece instead of being split up into sections (which means fewer seams). The increase in price compared to the other options is due to several factors, namely the cost of fabrication, customization and transportation. Custom slabs can be purchased at local stone yards, high-end kitchen & bath stores as well as retail stores including Lowe’s and Home Depot. Ask friends and family to refer you to an installer if they have had countertops installed in the past and were satisfied with the work. Shop around. Get at least 3 different installers to bid on your project. Both Lowe’s and Home Depot employ professional contractors and there are independent installers as well. This will not only give you a range of prices to choose from, but also help you figure out which prices are abnormally high or low. Each bid should include an itemized list of the estimated materials, extras and labor required. Cheaper is not always better, especially when the money is going toward an upscale kitchen feature such as a granite kitchen counter. Choose a mid-range bid submitted by a reputable contractor. Research online to find out about the installers’ reputations and read customer reviews. Ask for references. Get references for a few previous (similar) jobs from each bidder and contact them directly for feedback. Also ask for pictures and examples of previous work from the installer and maybe even visit their showroom. Ask questions such as: “were you happy with the quality of work?” and “was the project completed in a timely manner?” Also ask if there were any unexpected or “hidden” costs during the project or in the final cost. Ask a lot of questions and take your ideas and concerns into consideration. Countertops can get quite expensive so it is important that you fully understand the cost and quality of the work that will be done and that they understand your expectations and budget. Consider asking about their contractor licenses, insurance coverage, whether they will subcontract any work out and how long the project will take. Purchasing and installing counters can be expensive, but remember that it is an investment in your home. 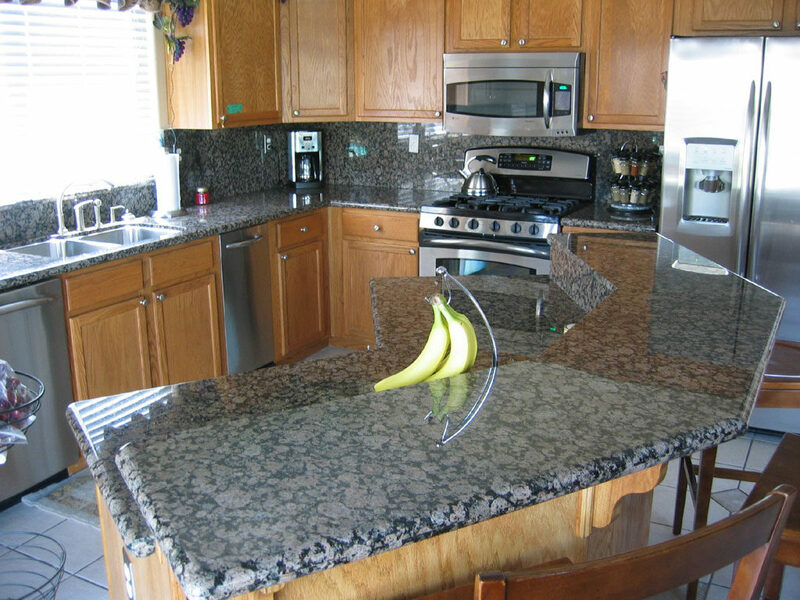 Once installed, you will reap the benefits of the durability, beauty and efficiency of a granite counter for many years to come. The heart of your home will have countertops that are a work of art, fully functional and easy to take care of. Have you purchased slab, modular or tiled granite and/or had counters installed in the past? Have you been given an estimate for a project and not sure if it’s too high? Let us know by leaving a comment below. I am looking for granite counter tops for my newly installed kitchen. However I am limited to pricing. I would like to find out your price range per meter installed. To see if I should go ahead with granite. Hi Herminia, thanks for leaving a comment! This goal of this website is to provide an independent, unbiased source of information about the costs & benefits. We do not sell materials or installation services – sorry for the inconvenience! Hi Shaista! The cost really depends on the layout and amount of counter space in your new design, but 130 sq. ft. is about average size, so I’d say that you’re looking at $1500 to $2500 for 30 Sq. feet installed. Hard to say more without additional details.